James (Jim) Burnett passed away on Friday at his home near Rigby, Idaho. He was born in Tahlequah, Oklahoma. His birth mother, Ruby Holdt, placed him in the Methodist Orphanage in Tahlequah when he was two years old. He was adopted when he was four by Leva Lou and Roland Grant, who were divorced a year later. Jim and his mother then moved from Cushing, Oklahoma to Kansas where he started school in McPherson. They moved to Geneseo, Kansas where his mother married Chant Burnett, who adopted him. Jim graduated from Geneseo High School in 1960. He received a degree in music education from McPherson College in McPherson, Kansas in 1964 and started his teaching career in Almena, Kansas at what became Northern Valley School. He taught a total of 12 years in Kansas and 25 years in Nevada with 23 years at Carson Valley Middle School in Minden, Nevada. He received his Masters Degree of Integrating Arts into Classroom from Lesley University in 1990. Jim married while in college and had two children, Kelly James and Deborah Kay, both of Kansas. That marriage ended in divorce after 11 years. Jim later married Gina Cross in 1974. They were married for over 42 years. Gina and Jim traveled over much of the U.S. and some of Canada. Their favorite camping spot was in Hope Valley, just south of Lake Tahoe and their favorite vacation spot was Patrick’s Point State Park on the Northern California coast where they enjoyed agate hunting on Agate Beach. Jim loved music, sports, camping, traveling, woodworking, teaching and writing poetry. He received several national awards for his poetry. He was a member of the college trumpet quartet for two years, traveling and representing McPherson College. His middle school bands were very successful competing against high schools as well as middle schools in Nevada. Jim was involved with several churches. He attended Methodist and Church of the Brethren churches while growing up and was later hired as the choir director for a Lutheran Church. He and Gina were baptized into the LDS Church in 1995 and sealed the next year in the Oakland Temple. He has served in several callings including Cub Master, Ward Clerk, Ward Mission leader, Choir director, Stake Music Supervisor and High Priest Group Leader. Jim served in the Reno Temple for two years and he and Gina served in the Provo Temple for 6 years. Jim is survived by his wife, Gina Burnett, and his two children. He was preceded in death by his parents. A memorial service will be held at 5:00 p.m. on August 9, 2017, at the Garfield LDS 2nd Ward (3800 E. 106 N.) in Rigby, Idaho. A potluck dinner will be held at 6 p.m. following the services for all attendees. In his memory, please consider spending a special day/evening with your family or send a donation to the Perpetual Education Fund, Missionary Fund, Church History Fund or Temple Building Fund of The Church of Jesus Christ of Latter-day Saints. An online guestbook is available here. Obituaries are an important way to celebrate the lives of loved ones within the community. They help carry on, if even in a small way, the legacy of the friends, family and neighbors that have helped weave this community into the wonderful place it is. 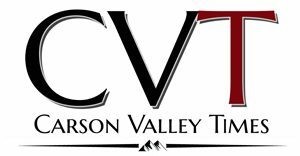 At the Carson Valley Times, we run obituaries free of charge. To celebrate your loved one, please e-mail obituary information to editor@carsonvalleytimes.com. Feel free to include a picture. If you’re at a loss for what to write, start simply with who the person was, and what they meant to you. Include a birth date and date of death, how they came to reside in Carson Valley and any other details you feel are important. If there are planned memorial services, make sure to include a date, time and address. Previous Previous post: Robots & Artificial Intelligence Poised To Man 60 Percent Of Nevada Jobs By 2035?